Remember that deal we featured about PRWeb? Well, PRWeb is back with the same amazing deal! May's deal has just been extended all throughout June. Sign up today and still get 10% off your first press release. The deal has been extended until 6/30/12! Better than Ever! PRWeb 2.0 is here! Expect the same effective press release from PRWeb. Let the web world know about your business, shop, website, or blog online through an engaging press release and gain more readers, clients, and customers. If you're not yet taking advantage of PRWeb, sign up today and save 10% off your first press release. Click here to join PRWeb now. Here's one more deal for our summer series from Expedia. Book a fun trip at Florida and you can save up to 35% off on your deal. Florida features summer essentials including warm beaches and fast roller coasters. Florida has it all for everyeone looking for theme-park adventures, swimming, golf, shopping, and more. Book today and get the best rooms at discounted prices! Just make sure to book by June 11 and travel through September 30, 2012. Over 500 deals are available in Florida. Click here to check them all out! Still in relation to the summer and still from Expedia, here's another deal you can take advantage of: save up to 35% on summer escapades! More than 2000 deals are currently offered in various locations including U.S. & Canada, Latin America & the Caribbean, Europe, Africa, & the Middle East, and Asia & the South Pacific. You can build your trip and choose hotels only, hotel & flight, hotel & car, and hotel, flight, & car. Click here to start planning your summer escapade! Looking for possible activities this summer? Book at Expedia today and find activities for as low as $55. You'll find activities locally such as in Las Vegas, Orlando, New York, California and internationally including Italy, Paris, London. 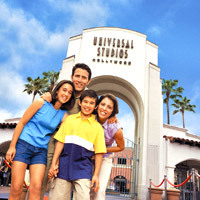 Some of the activities you can book for include Universal Studios Hollywood in California, Universal Orlando Theme Parks, New York Icons: Statue of Liberty Circle Line Cruise and Empire State Building Observatory Admission, Skip the Line: Colosseum, Roman Forum, and Palatine Hill in Italy, Skip the Line: Half-Day Tour of the Louvre Museum in Paris, and The London Sightseeing Pass - Including Skip the Line at Many Attractions. If you'd like to book for activities now, click here! Here's Expedia's treat for all Canadian readers: take advantage of various vacation deals until 6/30/12. Make sure to travel by 8/31/12. Book 5+ Night Package at the Venetian, Las Vegas & Save 20%! You can create your own trip from Toronto to Las Vegas. Pick from only the top hotels. Click here for this deal! Victoria Spotlight! Save up to 30%! ?Book at various hotels, inns, suites, resort, & spa in Victoria and save. Click here for this deal! Save up to 30% off the Wynn, Las Vegas! You can also check in at various hotels, inns, & suites in Las Vegas. Click here for this deal!